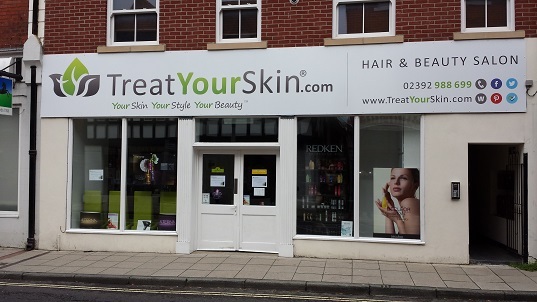 Please use the Messages page in your Treat Your Skin account so we can accurately help with your enquiry. On the Messages page select the correct order and fill in the form and our customer services team will respond as soon as possible (messages left in the evening or at the weekend will normally be answered the next working day). Emails are typically answered within 2-4 hours the same day, except weekends where any outstanding emails from the weekend will be handled the next working day. Please check your spam folder when expecting an email from Treat Your Skin. Note: There is a Amazon seller called 'treat-ur-skin' - we are not affiliated with this seller and all packages received regarding returns to this seller will be marked as Return to Sender and returned to Royal Mail. Closed on Sundays, please visit The Salon’s page for further details.